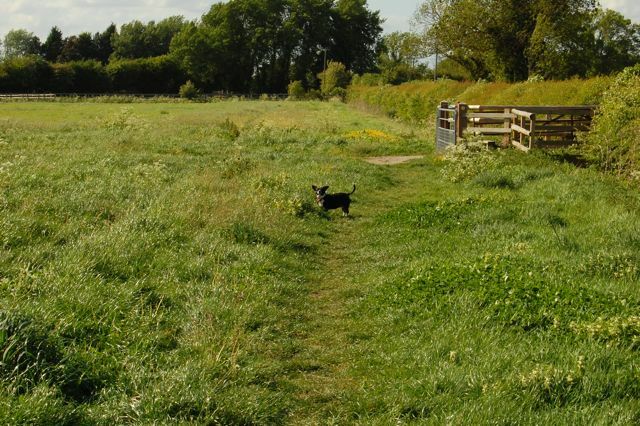 We live in a lovely place that gives us the opportunity to take our dogs for a walk every day in wonderful field up the road. Every day I see things that I wish I were a better photographer to be able to capture. Today was the swallows. They may have been back for a while, but I’ve not noticed them in the field before today. 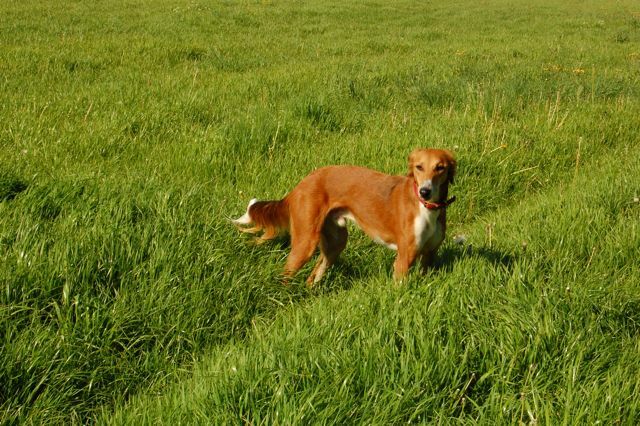 Mal likes to try to chase them as they fly low, skimming over the top of the grass in their search for insects. While I didn’t get any photos of the swallows, I did get some of the slower moving dogs. First is Meara, lagging behind probably looking for something stinky to roll in. The grass is already getting deep, to the point that we are starting to worry about losing Weezy in it. She doesn’t fret about it but we do when we suddenly can’t see her anywhere. 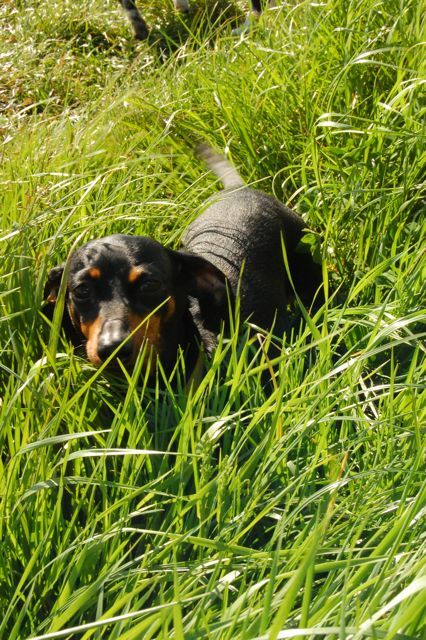 Here she is in some grass that is just about as tall as she is. Malcolm doesn’t really mind the grass getting taller, though it does tend to make his run more bouncy as he leaps through it. Here’s hoping that your day was as beautiful as ours was!